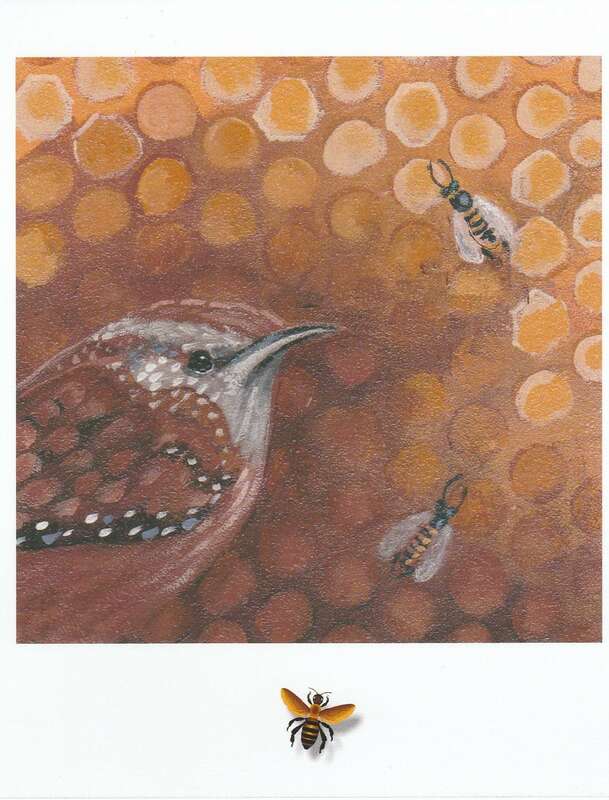 This is the first little painting in my "Birds and Bees" series. What a sweet card this makes! The plight of our bees is devastating. 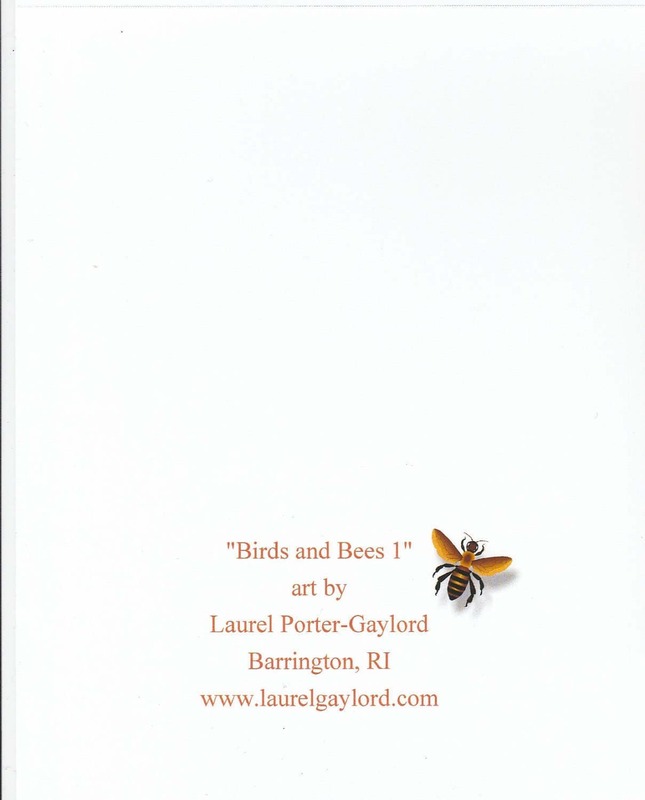 I'm doing this series to honor them and the many devoted beekeepers out there. Each card measures 4.5" x 5" and comes with a matching envelope in a cello sleeve. The cards are blank for your own creative message.